On the morning of January 19, 2019, I got up and heard from my father that Vishweshwar Dutt Saklani ji passed away a day before at the age of 96. I was shocked and silent for a few seconds. A freedom fighter, conservationist and a scientist who truly heard the voice of trees, Mr Saklani was also known as ‘Vriksha Manav' or the ‘Tree man’ of India. Mr Saklani, who solely planted around 50 lakh trees and developed a forest, is a role model for future generations. 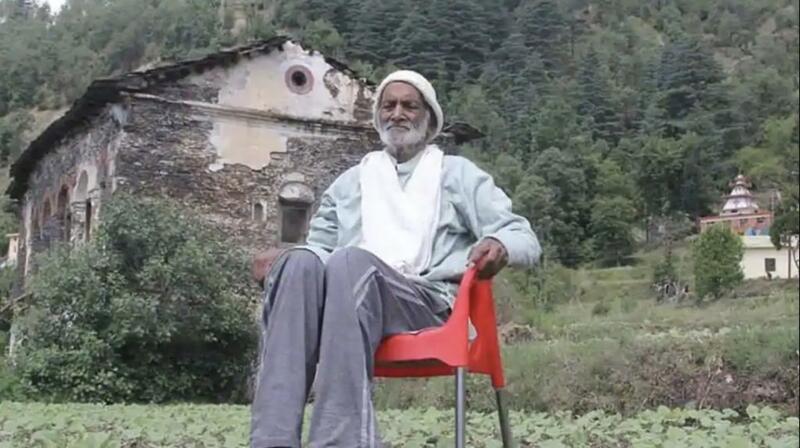 Born on June 2, 1922, in Pujargaon village of Saklana patti in Tehri Garhwal district of Uttarakhand, he started planting trees when he was just eight-year-old. Over the years, he planted nature friendly trees such as rhododendron, oak (locally known banj), deodar, Bhimal and many broad-leave species in the barren areas of Pujiargaon. He was awarded the Indira Priyadarshini award in 1986 by then Prime Minister Rajiv Gandhi for his remarkable work on plantation and conservation of forests. I had the good fortune to meet Mr Saklani many times. The first time I met him was in 1997 at the College of Forestry, Ranichauri, Tehri Garhwal—which is no longer under the Pantnagar University, but under the VCSG Uttarakhand University of Horticulture and Forestry, Bharsar. I was pursuing a four-year degree programme in BSc Forestry. One of those days, our professor Mr Vir Singh told us that we would be interacting with the ‘Virksha Manav’. We had a different impression in our mind, but when we actually met him, he came across as a gentleman who was cool and calm like a dense forest. He told us that planting trees was his passion and he did not feel satisfied unless he planted at least one tree per day. He even told us that he used to talk to the trees about their health. He believed that the trees talked back to him and he could understand their voice, while the trees were aware of his presence. He stressed on the importance of tress and his concern about the degradation of environment, particularly in Himalayas. He sang a Garhwali song, revolving around conservation of trees and their significance, and told us that one should plant a tree each for birth, marriage and death. That lecture was inspiring and memorable for years to come. I kept visiting him every now and then, and the last I met him was in Pujiargaon on October 10, 2012, where I travelled with my father, Mr M L Bijalwan. I had purposefully decided to visit him then from the Indian Institute of Forest Management (IIFM), Bhopal, Madhya Pradesh, to see inquire about his forests and health. Since much has been written about Mr Saklani, I would like to highlight my personal experience with him. As I hail from Tehri Garhwal as well, Mr Saklani and my father knew each other from long back. Mr Saklani used to talk about his selection of tree species, and praised the precious ‘oak’ or banj, which, according to him governed the hydrological cycle of the Himalayas. He wanted everyone to plant this tree for the conservation of Himalayas. Mr Saklani had also established a smriti van inside the forest planted by him. Being a forester, I salute him as a conservationist. There are many sung heroes of the nature conservation in India and Shri Vishweshwar Dutt Saklani was one among them. The obituary of this ' Vriksh manav' from Uttrakhand had inspired many of us young forestry professionals and showed the path for action for nature conservation. Dr. Arvind Bijalwan has very rightly and nicely pen down the story of this nature worrier who spent his whole life for the cause of trees and forests with his tireless efforts. We can think about their vision for nature conservation and role of forests even the period when no think tank at global level has discussed for point of action as we are talking in era of climate change. I salute the legendary personality whom I was able to meet once during my B.Sc. Forestry period at Tehri Garhwal and wish to his soul rest in peace who enlighten the hill society for deeds towards trees, mountains & mother nature. I am sure new generation will take a leaf from his life history and conservation work to learn a lesson for future. Let all pray to admire his work and take oath to carry forward his unfinished work towards nature conservation.